Facilities Maintenance Engineer (East Anglia) £26,500 plus van, fuel card and benefits Would you like to work for one of the UK's best-loved retailers? Do you want to work in a quality-focused environment where you'll really make a difference? We're looking for a Facilities Maintenance Engineer to look after our stores in East Anglia. You'll be working in-house directly for us so will develop great relationships with the rest of our property team to ensure our stores look and feel the part. Would you like to work for one of the UK's best well-loved retailers? Do you want to work in a quality-focused environment where you'll really make a difference? We're one of the biggest high street names looking for a Facilities Maintenance Engineer help us become the best in our business by looking after our stores across East Anglia. You'll be working in-house directly for us so will develop great relationships with the rest of our property team to ensure our stores and facilities continue to look and feel the part. In your new Facilities Maintenance Engineer role you'll oversee the mechanical, electrical, plumbing and fabric works of around 20 stores across your territory, focusing on finding long term solutions for reactive works and attending PPMs when needed. Reporting into a Regional Supervisor and with the support of an internal FM service desk team a lot of how you manage your facilities will be up to you. You'll cover M&E maintenance, planned and reactive works, general building maintenance duties, PAT testing, emergency light and fire alarm inspections, basic HVAC, building condition surveys and will also coordinate small works projects with external contractors. Our Facilities Maintenance Engineers work a 40 hours per week (paid door to door) and any further hours are paid at overtime rates. You'll work towards performance based bonuses and will work closely with the Service Desk to manage your workload. On some days you may travel to 5 sites, on others you may stay at 1, this is a flexible role depending on what issues come up in your region. If you have a facilities maintenance background we'd love to hear from you. To be able to hit the ground running a background in electrical engineering or 17th Edition qualification would be an advantage but you will cover the full remit of mechanical, electrical and fabric work so your job will always be varied. As Facilities Maintenance Engineer you'll travel from home to site and will be working in potentially more than one location in the day. As you manage your own diary this role will suit an individual who can manage their time well. You'll be meeting and greeting customers and contractors on a daily basis so to enjoy the role you'll need to be a people person. If you enjoy solving complex problems and working in a role where no two days will be the same this is the job for you. Despite being a large organisation we pride ourselves on having a close relationship with our customers and internally we operate more like an independent business. Our employees are given a lot of autonomy and are encouraged to suggest new ideas to drive the business forward. Our FM team has just gone through a big transition phase and to help with our continued growth and ensure we provide a quality-led service we're looking for a Facilities Maintenance Engineer who shares that vision. This is a great chance to join a well-renowned company and a strong client-side FM team with lots of opportunity to develop. 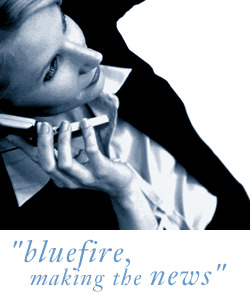 Bluefire Consulting Ltd is a recruitment agency working on behalf of our client. Your application will be reviewed by the consultants of Bluefire Consulting Ltd. Please be aware we receive a high volume of applications for every role advertised and regularly receive applications from candidates who exceed the job credentials. We will only contact you within the next 14 days if you are selected for interview. Bluefire Consulting Ltd pay excellent referral fees so if you know of someone who would be suited to this role please get in touch! Bluefire Consulting is an equal opportunities Employment Business/Agency specialising in Real Estate and Property recruitment on a UK wide basis.